""" keywords'/> "" " Don't Frustrate Casting Directors and Ruin Career | Give 8 Things | Best Actor Academy-The Monster Of Free Acting Tips ""
Do You Know What Casting Directors Want From You? Ever had an audition for a Bollywood film or a TV serial? If yes, then you knew you did pretty well? The one in which you were sure you nailed the role? All you had to do was wait for the call from the casting director confirming you have been selected.. But the call never came and you were left wondering what the heck went wrong? I mean, you're a fantastic actor! 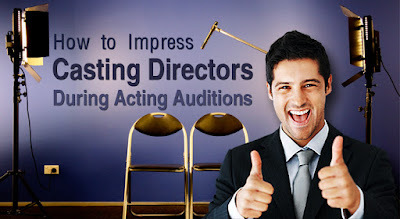 Rather than leave you wondering what these crazy casting directors want, I had been consulting a few on-camera casting directors, took their opinion and based on my own experience as a character actor, here are the top things you MUST remember for your next on-camera audition! No need to get tensed if you have not been able to memorize all your lines in that freaking short time! Casting directors don't care really much about that. What they expect is that you show the personality and behavior of the character. They know that the actor isn't going to be able to memorize the lines for an audition as he/she got the lines at the waiting room may be 10 to 20 minutes back. Sometimes, good casting directors may ask if you have any questions, it's only to help you get clarity if there's something in the script lines (sides) that's confusing. Very often the best auditions come from actors who just say 'no sir’ and just perform. Don’t ask silly questions like ‘kya mujhe role milega? (Am I going to be selected)?’ ‘ Sir, aap se mujhe kab call mile ga? (When I will get a call from you’) or ‘I’m new and this is my first audition. Can you guide how should I do it?’ etc. You're not coming to an on-camera audition to get coached by a teacher. Come prepared (know who your character is, what you want, etc.). The guys in charge of the audition should not think maybe next time. They should think that they just saw your best the first time you did it. Don't be a next time actor." This means, you must be prepared to offer the options of portraying a character. 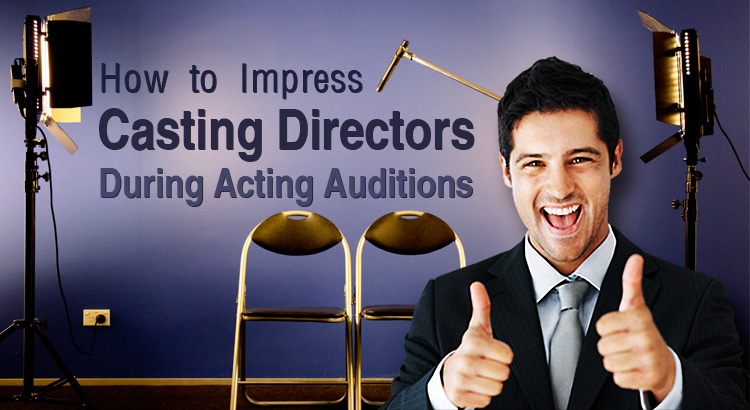 Casting directors love an actor that can take direction well. They are going to throw things at you to see how skilled you are. For example, they may ask you to play a character in a different way, improvise a scene, speak faster or slower, say again with a different meaning, soften exaggerated gesture etc. You must be flexible to respond instantly. Camera acting skills always impresses casting directors. They like someone who knows how to do what they need to do with the camera on them. Learn how to position your body and face so the best parts are seen in the right way and at the most important times. Practice a lot with your acting coach or do it on your mobile camera with the help of a friend and find out what everyone else sees. And just be critical. When you are watching a television serial or a film the actors playing the characters are not looking into a camera (means not looking at viewers!). Don’t look at the camera lens unless ask so. Maintain your eye lines. Look either at your partner-actor or reader or a few inches away from the camera. Let your eyes wander -- a little bit. Just don't look down. Lots of us look down to think. People don't select actors. They hire people who can act. When it's a close competition-- and it often is -- sometimes hiring decisions have to do with the person as much as the performance. So what does that mean? Personality. Personality. Personality. Be nice to everyone -- the receptionist might be the casting director's sister. The director might look like an assistant. Never apologize -- we don't care if you're sorry you did a bad. Never blame -- the person that didn't give you the script ahead of time might be the person hiring you, or a transport being late, was not well or had a late night etc. Don't try to talk intimately with any one or cozily or gossip -- they hate that! Don't look at them like they are about to put you in jail or going to perform a life threatening surgery -- they're nice people. Be professional -- after all, it is a job interview. These days I have started reading your blog online, must say they are very informative. I wanted to ask that is it ok if I don't go for any acting institute as there is some financial problem going on with me right now. What are the other ways I can improve my acting skills. I read ur blog regularly.